Count on this herbal pain relieving ointment trusted by millions worldwide! 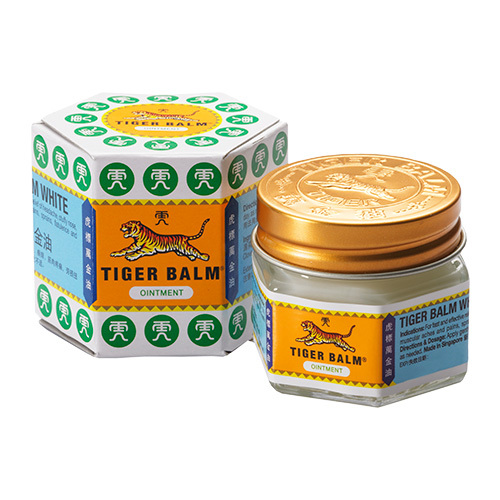 With its refreshing and soothing scent, Tiger Balm White Ointment provides relief for ailments such as headaches, stuffy nose, insect bites, itchiness, muscular aches and pains, sprains, and flatulence. Suitable for upper respiratory ailments. Herbal-based. Safe to use. HOW TO USE: Apply Tiger Balm gently on the affected area. FULL SIZE: 19g PRICE: PHP 85.00 AVAILABLE AT: Mercury Drug, Watsons, SM Beauty Stores, Supermarkets, and other leading drugstores nationwide. SOCIAL MEDIA: Instagram: @tigerbalmph Grab yours now at Sample Room!